Accumulation of misfolded αSyn and mitochondrial dysfunction are central features of Parkinson’s disease. Growing evidence points to a relationship between these two phenomena as oligomeric α-synuclein (αSyn) can interact with mitochondria and impair their function. Standardization of methods to prepare αSyn oligomers and isolate functional mitochondria will facilitate efforts to expand upon early findings. Here we present detailed protocols for preparing soluble αSyn oligomers; for isolating functional mitochondria from mouse tissue; and for simultaneously measuring several aspects of mitochondrial physiology. 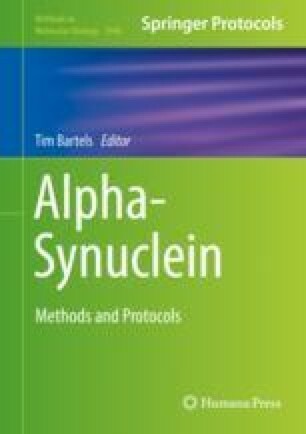 These protocols will benefit future studies aimed at characterizing the mitotoxicity of αSyn species isolated from the brains of synucleinopathy patients as well as efforts to identify small molecules and genetic or environmental alterations that prevent αSyn-induced mitochondrial dysfunction.